To 4-6KW motor. KLS controller is supposed to reduce the noise of BLDC motor,especially for hub motor.The BLDC motor must be based on 3 hall sensors.Customers can program the KLS controller on PC software or Android App.You may need a Z-TEK USB to RS232 cable for programming the controller if you want to program the controller on Android Tablet. 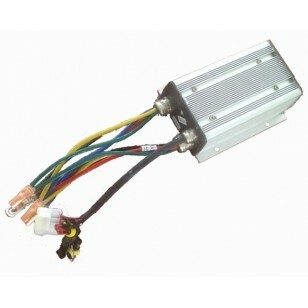 •Motor Current Limit, continuous: 150A ,depending on the model.